The second time’s a charm. Today’s PAD is directly tied to PAD #28 “Break Bread”. Our friend that baked us the loaf shown in PAD #28 shared the recipe and directions for this bread a few weeks ago. I’ve been so intimidated by the art of making bread that I kept putting it off, until today. Today was the day I would try and and make bread. The first loaf was a complete disaster, but the second loaf may have some potential. We’ll cut into it later and report back. Just looking at that loaf of bread I can almost taste it. Slice and toast a piece for me please. The bread is just as delicious as it looks. Awesome! 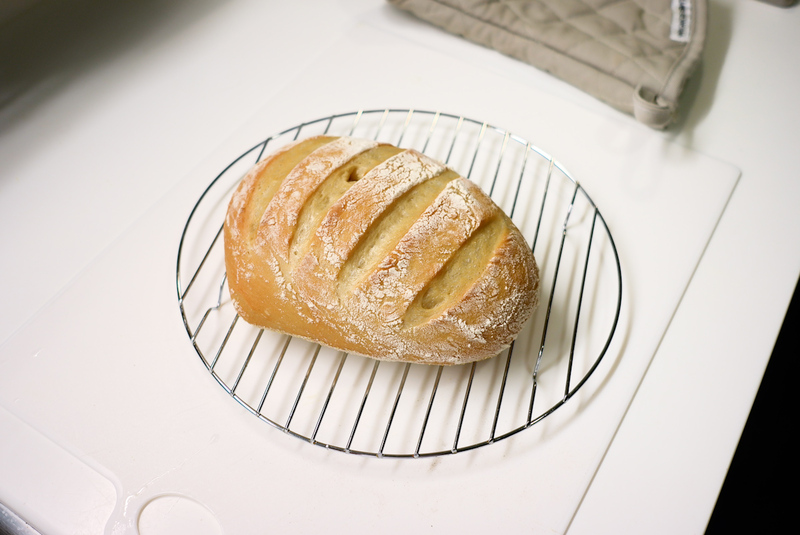 I love baking bread, it is very therapeutic. Peter Reinhart’s bread recipes are fantastic.